Compact yet powerful, the Kubota B26B tractor is equipped with the high end features you need to accomplish a wide range of tasks. 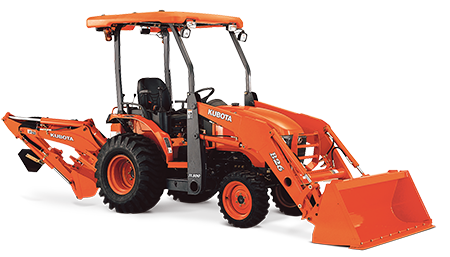 Experience increased loader lifting capacity, greater backhoe digging power and depth and increased durability with the Kubota B26B, the premium compact tractor for those that seek only the best in comfort, safety and design. 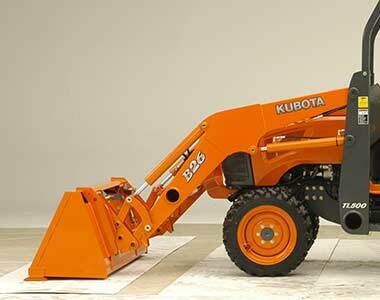 Powered by a rugged Kubota 18HP, 3-cylinder engine, renowned worldwide for their exceptional reliability and durability. 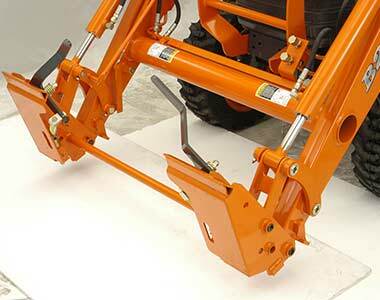 Features 2 range hydrostatic transmission as standard. Equipped with twin operating pedals to offer exceptional handling with frequent changes of speed and direction. 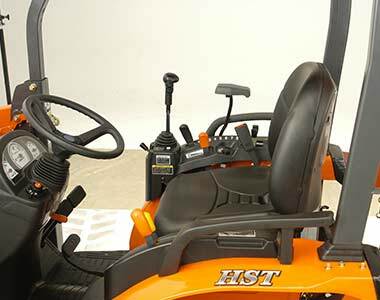 Hydraulic power steering offers effortless control, reducing operator fatigue. 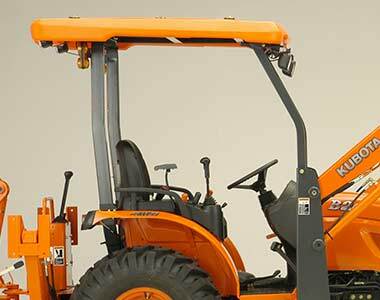 With an overall length similar to a standard garden tractor, the B26B is easy to drive and offers smooth operation even in the tightest spaces. Due to it’s compact size, the B26B is also incredibly gentle on turf. Halogen headlights provide clear and bright illumination when working and traveling at night. 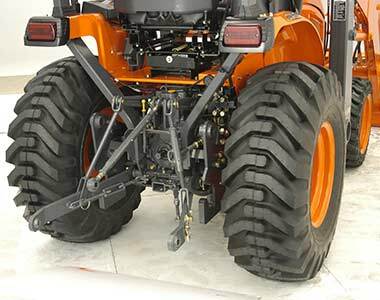 To give you the ability to take on bigger jobs, the lifting capacity of the B26’s Category I 3-point linkage is 760kg 600mm behind the lift points. This will allow you to attach a wider variety of implements and larger implements making you more productive. Operator comfort has been enhanced by a new, fully flat deck layout with the brake on the left side, providing more room for the feet. The seat slides forward and back, letting you find just the right position for maximum personal comfort. A new control panel design enhances operability by placing all vital indicators on a single, easy to read panel. The new panel features a tachometer on the left and an LCD display for fuel level and coolant temperature on the right. Warning indicators for battery, headlights, turn signal and low fuel are in the middle. 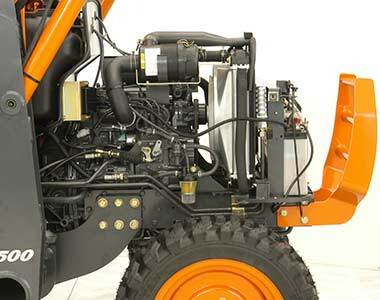 With just a single glance, you get a complete picture of the tractor’s functions. All controls and indicators are neatly placed for quick, easy and user-friendly access. Option of standard or 4:1 bucket.